Judah Smith, New York Times bestselling author of Jesus Is ____, helps readers understand what steals their peace of mind and outlines the path to peace and fulfillment: understanding and implementing the healthy soul environment God originally designed. learn the four elements necessary for a healthy soul environment. Sharing his own often humorous mistakes and foibles, Judah offers a helping hand as readers find their way through the emotional rollercoasters of life to discover the soul-healing essentials rooted in what he calls the soul's only true home--God himself. How's Your Soul? by Judah Smith was published by Thomas Nelson in October 2018 and is our 10932nd best seller. 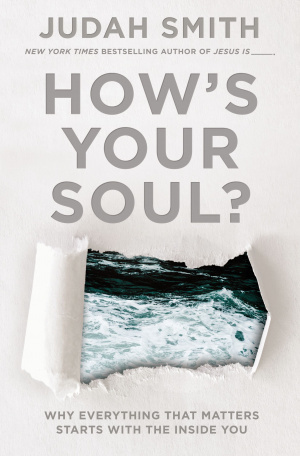 The ISBN for How's Your Soul? is 9781400212743.